A sad day for print. 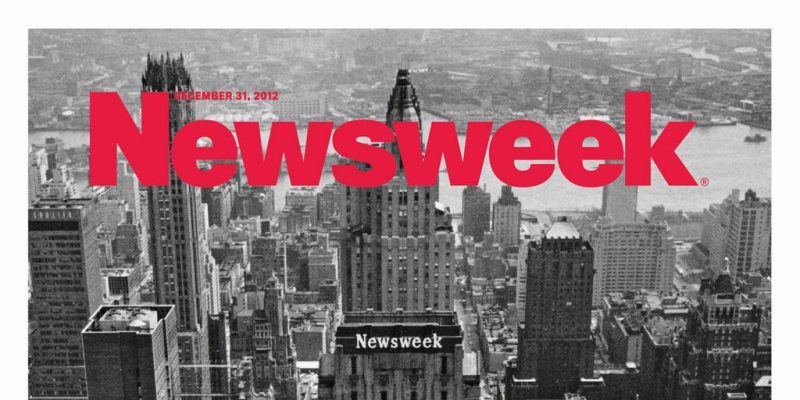 Their farewell cover artwork highlights the stark contrast between traditional printing by portraying print as a classic, black and white New York city skyline photo with Newsweek’s office building in the foreground and the modern, web-centric hashtag headline, #lastprintissue. Filed under Articles. Tagged as Print. Please leave a Comment on Newsweek says goodbye to print. #lastprintissue.